← The Sports Archives – Swimming Through the Centuries: The History! The Sports Archives – Four Annual Sporting Events Around the World you must see! You don’t have to be particularly active to watch sports, and sometimes it can be fun to sit back and watch other people do the running around and goal-scoring. But here’s a list of annual sporting events around the world that anyone can enjoy – even if sports isn’t really your thing. This is the highest-profiling event of the San Fermin Festival, and is broadcast live every year by two television channels in Spain. The first bull-running of the festival is on July 7th at 8am, and happens every morning after until the end of the festival, on the 14th. 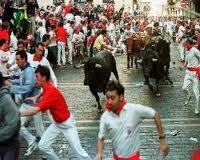 People who wish to participate in the Running of the Bulls must be over 18, not under the influence of alcohol and must not provoke the bulls. However, if being chased by bulls down the streets of Pamplona isn’t your thing, you could always watch this classic sporting event from the safety of a balcony or hill. You don’t normally think of cheese as a particularly sporty food, but if the cheese is a giant wheel and it’s paired with a steep hill, then you’ve got yourself a sport! It’s exactly what it sounds like – a wheel of cheese gets let loose down a hill and hundreds of people chase after it, the winner being the first one to grab the cheese. The hill in question is Cooper’s Hill in Gloucestershire, England, and the cheese being rolled is locally made by Diana Smart of Churcham, who has been providing cheese rollers with traditional Double Gloucester Cheese since 1988. 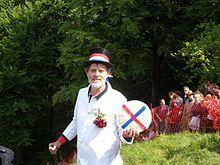 Gloucestershire Cheese Rolling is a beloved event with thousands of fans, and though it was banned in 2010 due to health and safety reasons, a rogue cheese-rolling event popped up earlier this year to start the tradition again. This is the event that claims to have changed the meaning of the word ‘marathon’. To quote the official website: “Before the New York race began, marathons were modest events run by a few athletes and followed by a few fans interested in the limits of human endurance” but since Fred Lebow and the New York Road Runners started the ING New York City Marathon, marathons have become media events, with hundreds and thousands of fans rather than just a dedicated few. The marathon even attracts professional athletes, who are drawn not only to the $6000,000 prize money, but the prestige and media coverage that comes along with winning. This is for all the rugby fans out there; the Six Nations Rugby Championship is a rugby competition played between six European countries: England, Ireland, Scotland, Wales, France and Italy. It is a big deal in the European Rugby world, and if you’re interested in Euro-sports, then this is the Championship for you. Grab a beer at your local pub and join in the fun. If that list didn’t whet your appetite for watching people run, jump and/or tackle, you clearly just need to see any one of these sports for yourself to understand the beauty, majesty and cheesiness that is spectator sports. Edison Lam is a connoisseur of bizarre sports. When he is not out in search of the perfect game of fooseball, he can be found in his Eucalypt office. This entry was posted in Other and tagged Cooper's Hill Cheese-Rolling and Wake, England National Rugby Union Team, fooseball, France National Rugby Union Team, Gloucestershire Cheese Rolling, Ireland National Rugby Union Team, Italy National Rugby Union Team, New York City Marathon, Pamplona Running of the Bulls, Rugby, Scotland National Rugby Union Team, sports, sports and leisure, Sports Archives, Wales National Rugby Union Team. Bookmark the permalink. 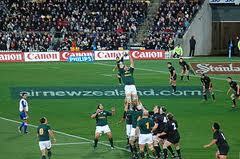 2 Responses to The Sports Archives – Four Annual Sporting Events Around the World you must see! Nothing … I repeat, nothing about about the bulls in Pamplona is a sport. This post is ignorant.